This is an updated version of a post originally published in 2016. 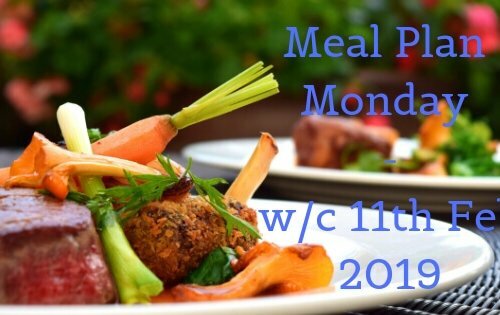 I have updated it to coincide with the #FoodSavvy challenge I am taking part in this month. For more information about the challenge please read this post. I wish that I had been given some sort of guide to meal planning on a budget when I first moved away from home. I look back at those years and cringe at just how much food, and money, I was wasting. It wasn’t until I had my first child that I started to seriously look into meal planning. Children aren’t cheap to look after, and maternity pay isn’t huge, so tightening our belt braces was a necessity and one good way to do that was by meal planning. I have tried all sorts of methods over the years and have adapted them to fit in with what was best for our circumstances at the time. 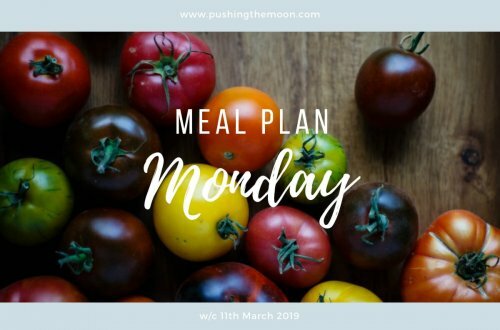 For example; when M & G were babies I found it really suited me to plan a whole month’s worth of meals – whereas now I work with either a one week or fortnightly plan because that works better for us right now. I can see this changing again, possibly back to monthly, very soon… but that’s the great thing about meal planning – it’s adaptable. 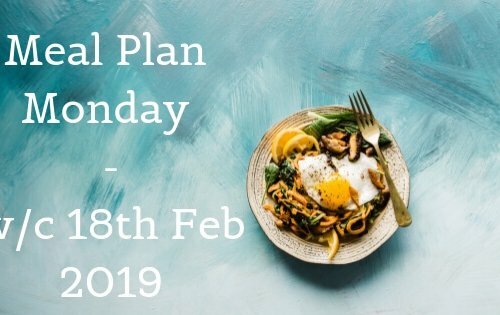 If you think that meal planning is something you should be doing, but aren’t sure where to start then read on for my top tips and to download my FREE meal planning printable. Whenever you start meal planning the very first thing to do is check what you already have in stock. Check the fridge, the freezer and the cupboards, and make a note of everything – including everyday items such as flour, sugar, oils, and herbs and spices. You might be pleasantly surprised by what you find. 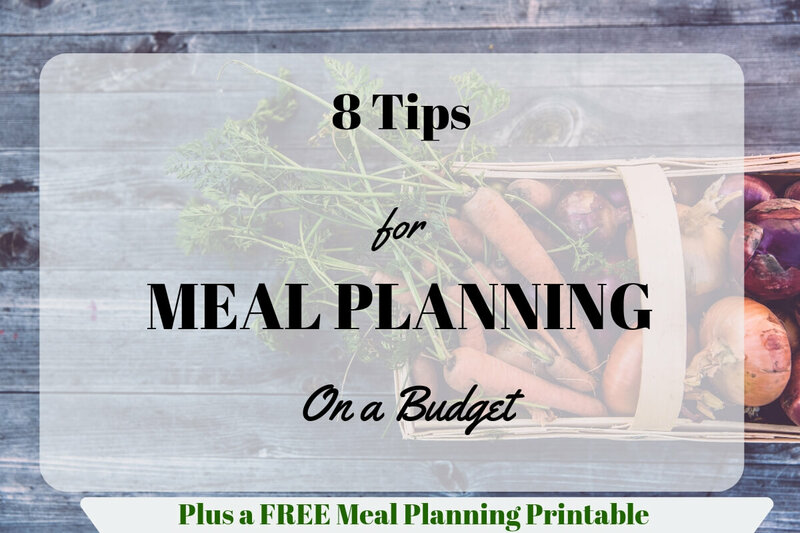 My FREE meal planning printable has a section for you to note down everything you have in your cupboards. 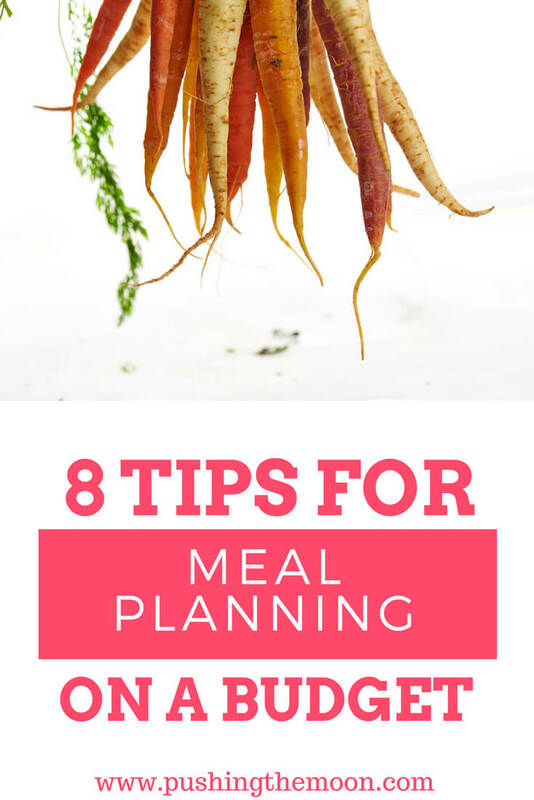 Jot down those meal ideas – put them in a big list that you can call upon in future. I now have a master list in my bullet journal that I refer back to whenever I need some inspiration. 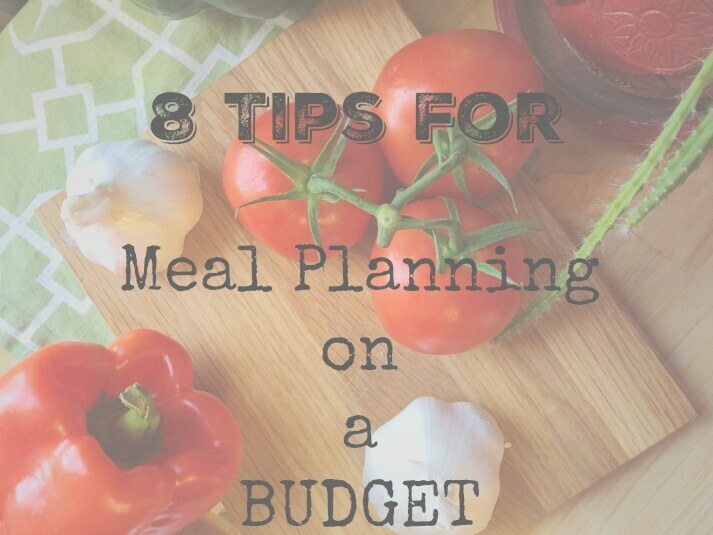 This is such an important element of meal planning on a budget. Leftovers are your friend. That roast chicken you had on Sunday – use the leftover meat in a risotto, or stir fry on Monday. Chuck the carcass into a pot with an onion, a leek and a couple of carrots, along with some herbs and you have the makings of a pretty good soup. Also, if you are planning a recipe that requires a certain ingredient that you may not use often then try to find another recipe that uses it later in the week. Cooking in bulk is one of the best things you can do. If you are planning to make a bolognese for example then make enough for several meals and freeze what you don’t use. Not only does it cut costs it’s also an absolute time saver on a weeknight when you want to get dinner on the table in a hurry. If you are a meat eater then you know that meat can be expensive. Look at ways to cut down on the amount of meat you use, either by substituting some, or all, of an ingredient with an alternative such as lentils or vegetables. This a great way to save money while losing none of the flavours. 7 – To Shop Online or in the Supermarket? When I first published this post, back in 2016, I made a big deal about how shopping online and having it delivered worked best for us. And it did, at the time. I used to have a tendency to chuck extra items in my trolley while I was walking around the supermarket, and doing that would normally add an extra 25-30% to my final bill. Shopping online removed all temptation, and it really suited me to carry on this way. But recently I have gone back to shopping in the supermarket(s) and (touch wood) I have been very good at sticking to my list. I now split my shop between Lidl and Sainsbury’s. We have both supermarkets in our town and I always start in Lidl and try to buy as much in there as possible. Anything I didn’t manage to manage to buy in Lidl I will then pop to Sainsbury’s to buy. Since I stopped relying purely on the online shop and started splitting my shop between Lidl and Sainsbury’s I am saving, on average, £40 per week. But, while I no longer get a regular online supermarket shop I do still recommend online deliveries, especially if you feel you might overspend in store. Many supermarkets now offer delivery for as little as £1 so it really can be a cost-effective option. If you are lucky enough to have several supermarkets close by, or they offer delivery in your area, then using a comparison site such as mysupermarket.co.uk will show you who offers the most cost-effective options. If online ordering isn’t an option then, if possible, try to hit up the supermarkets when they are most likely to have their reduced items. For many supermarkets, this will be late in the evening, one to two hours before closing. The savings you can make by going at this time can be considerable. If your shop contains premium brand items then why not try out the supermarket own brand version instead – you may be pleasantly surprised. And then, once you have tried the own brand version, why not give the ‘basic’ own brand version a try? The money you save by doing this can be considerable and, more often then not, the quality is on par with the premium option. 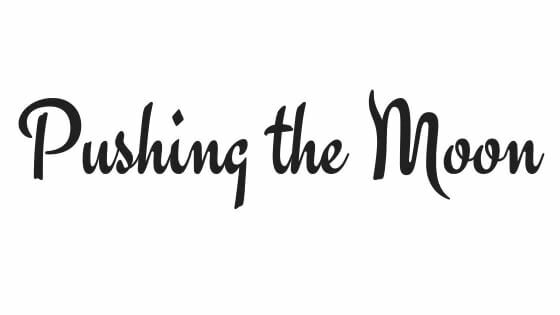 I love a printable – especially if it will help me in some way. 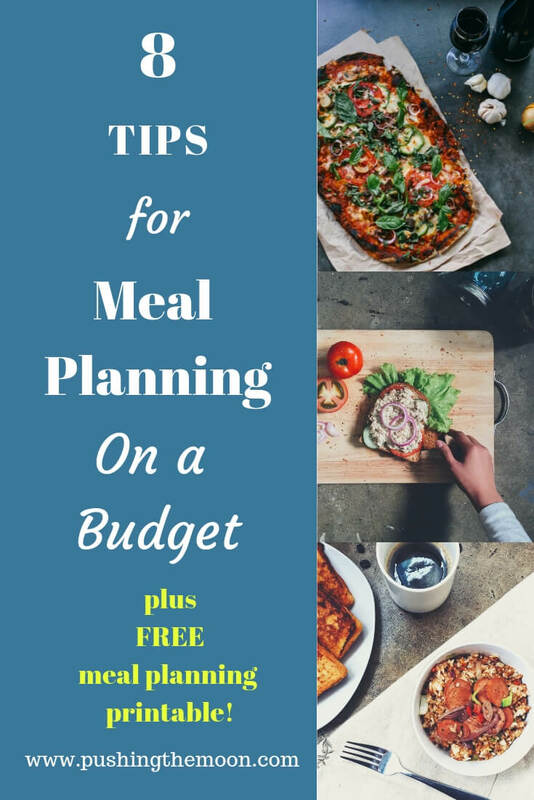 This FREE meal planning printable is so handy, and I use it every week. There is a page for jotting down the items you already have in your cupboards – this will come in very handy when it comes to deciding what meals you will cook. The other page is split into two – one side is for your meal plan, and the other is for your grocery list. Checking the cupboards as well as doing my food shop online definitely help me to keep the cost of our groceries down. 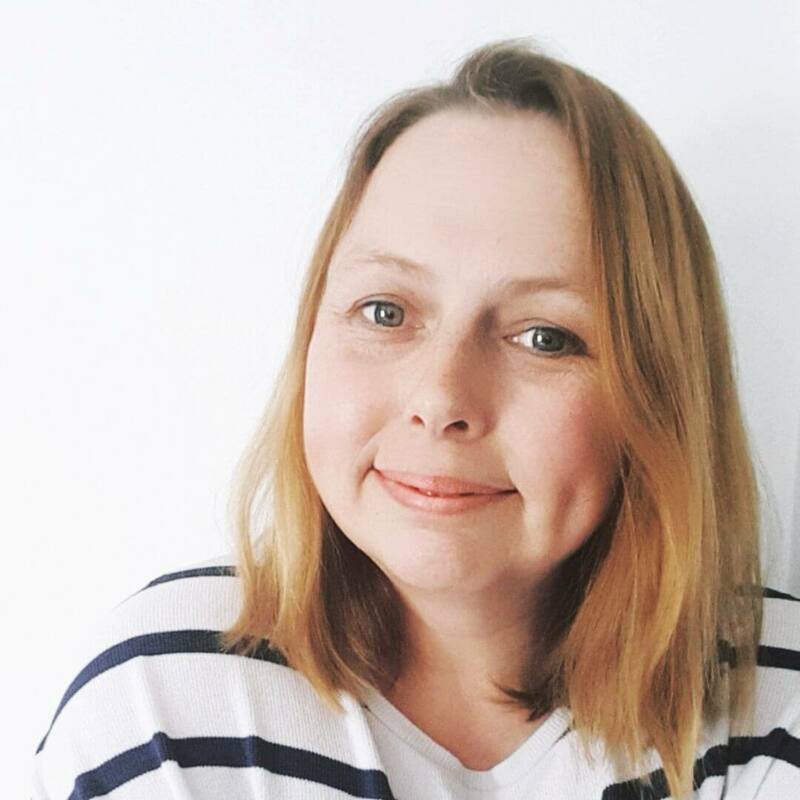 Lately I keep hearing a lot of people talking about switching from the big supermarkets to Aldi/Lidl has helped them cut cost – I would love to give them a go, but being that online food delivery helps me cost wise, but also convenience as I do not drive, I can’t give them a go and compare. Great tips – I really want to give bulk cooking a go, especially at this time of year when you’re bound to eat the heartier meals.